Learn how to develop a strong family unit. Kenneth E. Hagin and Kenneth W. Hagin show you how to build your home on the Word of God. 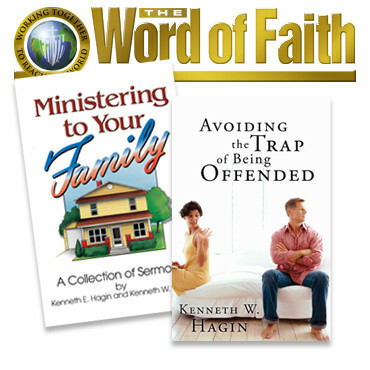 • Avoiding the Trap of Being Offended, a book by Kenneth W. Hagin. The opportunity to be offended comes to everyone. Learn how staying offended costs us, but walking in love and forgiving those who wrong us pays the rich dividends of peace, restored relationships, and harmony.